A Huntington-area favorite, Angel Tips nail salon has been popular in the community for years. With amazing Yelp reviews and a cult following, find out for yourself why this beloved salon is such a staple when you head in for a shellac manicure this season. Indulge at this relaxing and soothing environment where the emphasis is always on your comfort and high-quality beauty services. Angel Tips is offering a beautifying package too good to pass up – you’ll get a shellac manicure for only $18 (a $35 value). Enjoy the chip-free, high-shine looks of a mani that can last up to two weeks or longer. Nails feel stronger and more resilient, and with absolutely no dry time, you’ll be on your way as soon as the services conclude. Your tech is highly trained and the color selection is unbeatable. At Angel Tips, the staff goes above and beyond to create an incredible experience for you. Select a color from trendy to classic; then sit back and relax as your technician shapes, files, buffs, and shines your nails. After a soak and a refreshing, nourishing hand massage, your color will be applied and set to dry in the UV light. As soon as it’s done, you can head right out of the salon without having to wait around for your nails to dry. 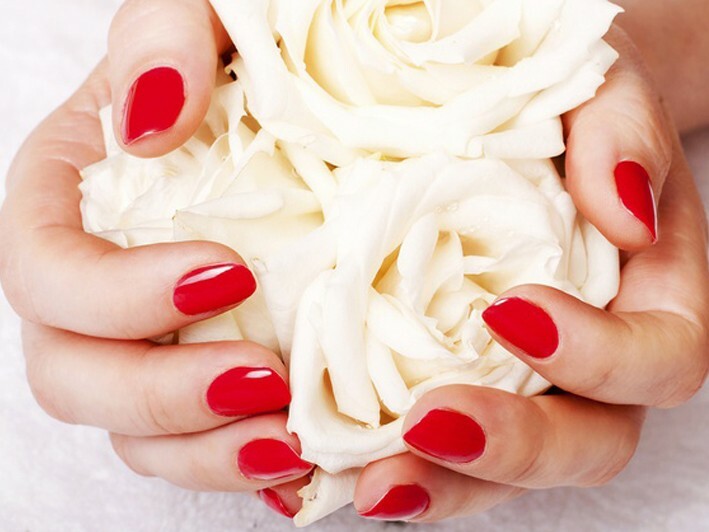 Treat yourself today with a gorgeous shellac manicure at fraction of the price, with Angel Tips. A nail salon in Huntington, NY that puts cleanliness and health first, providing your nails with the care they deserve.